About Josh Groban "Noel" album. Christmas joy arrives early this year for millions of Josh Groban fans as 143/Warner/Reprise Records realeased of "Noel"," the artist's long-anticipated classic recording of holiday songs. Arrived in stores on October 9th, Josh Groban is joined on "Noel" by the London Symphony Orchestra and several guest artists and has once again collaborated with Grammy-winning producer David Foster. 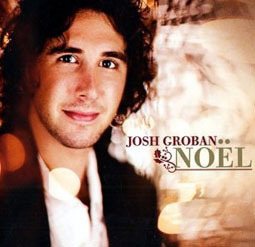 Josh Groban "Noel" CD is available here . Recorded in Los Angeles and the famed Abbey Road Studio in London in between performances of the 26-year-old Josh Groban's "Awake" Tour, the collection of holiday songs on "Noel" includes such classics as "It Came Upon a Midnight Clear" with Josh on acoustic piano, "Silent Night," "Little Drummer Boy," "The Christmas Song," "O Come All Ye Faithful" with the Mormon Tabernacle Choir and "Ava Maria." Josh Groban duets with Faith Hill on "The First Noel," with a choir under the direction of gospel legend Kirk Franklin. In addition, singer Brian McKnight adds his vocals on "Angels We Have Heard On High" and the haunting version of "I'll Be Home For Christmas" features messages from troops stationed overseas. "I was inspired by all the Christmases I've been fortunate enough to celebrate with my family over the last 26 years," commented Josh Groban. "I was committed to making a classic Christmas album yet one that sounded different than anything that's been heard on a holiday record. David Foster and I were passionate about creating the perfect collection of songs." Some musicians and people works on Josh Groban "Noel": Andy McKee (Guitar), Richard Page (Background Vocals, Choir, Chorus), Dean Parks (Guitar), Bill Ross (Arranger, Orchestration, String Arrangements), Brad Dechter (Arranger, Orchestration, Choir Arrangement), Lucia Micarelli (Violin, Soloist), Kirk Franklin (Arranger, Director), Humberto Gatica (Engineer, Mixing), The London Symphony Orchestra, Jeremy Lubbock (Orchestration). The CD "James Taylor At Christmas" (originally released in 2006) has been nominated for the "Best Traditional Pop Vocal Album" Grammy award. The winners of the Grammies for this year will be announced February 10th, 2008. 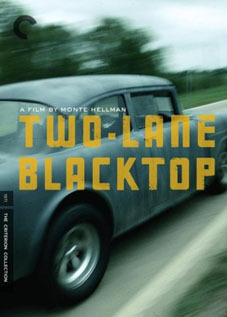 In addition, the movie "Two-Lane Blacktop" is released on DVD (Criterion Collection) today. This 1971 Monte Hellman road movie starring James Taylor Warren Oates and Dennis Wilson (from The Beach Boys). The two-disc set includes a new interview with James Taylor, a restored digital transfer supervised by Monte Hellman, a Dolby 5.1 soundtrack, two commentaries, outtakes and of course the original screenplay. The story of "Two-Lane Blacktop": Drag racing east from L.A. in a souped-up Chevy are the wayward Driver and Mechanic (singer/songwriter James Taylor and the Beach Boys Dennis Wilson, in their only acting roles), accompanied by a tagalong Girl (Laurie Bird). Along the way, they meet Warren Oates' Pontiac GTO-driving wanderer and challenge him to a cross-country race. The prize: their cars pink slips. Yet no summary can do justice to the existential punch of Two-Lane Blacktop. Maverick director Monte Hellman's stripped-down narrative, gorgeous widescreen compositions, and sophisticated look at American male obsession make this one of the artistic high points of 1970s cinema and a great road movie. Michael Bolton, Patti LaBelle, Nick Lachey, Kelly Rowland and Blake Shelton will be the celebrity choirmasters on NBC's holiday talent competition series "Clash of the Choirs." The BBC Worldwide Productions show will be broadcasted Dec. 17-20 live from New York on NBC. The goal of this new show is to assemble a choir of 20 amateur singers. Back in their hometown, the 5 stars will purpose a Story Of Christmas for their five hometown choirs that will be reunited in New York City sing live in a competition of 4 days. TV audiences will vote one choir off the show each night. Michael Bolton (New Haven, Connecticut), Patti LaBelle (Philadelphia), Nick Lachey (Cincinnati), Kelly Rowland (Houston) and Blake Shelton (Oklahoma City) will advice each choir competitor. The winning choir will obtain a prize to help their community. Produced by BBC World Productions (Dancing with The Stars), the Clash Of The Choirs series is based on a Scandinavian format, and runs six hours on NBC, with two-hour broadcasts airing from 9-11 p.m. on Dec. 17 and Dec. 19. 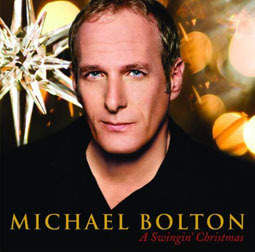 One-hour programs screen on Dec. 18 from 9 to 10 p.m., and Dec. 20, from 8 to 9 p.m.
On the news side, Michael Bolton has a new Christmas CD out entitled "A Swingin' Christmas" released in October 2007 on Concord Records. See his website. The King of Blue-Eyed Soul rings in the season with a swingin’ set of holiday standards that are destined to become a yuletide classic. This release is an enhanced version of last year’s Target exclusive with (almost) the same title, featuring two new tracks ("Silent Night" and "Joy To The World"). So sit back, pour yourself a glass of eggnog and wait under the mistletoe as Michael Bolton sets the tone for A Swingin’ Christmas. 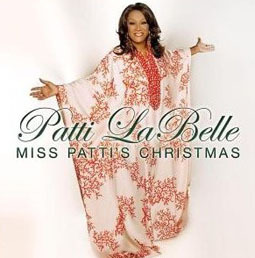 Also, Patti LaBelle has a new Christmas CD out: "Miss Patti's Christmas" on Def Soul Classic Records. See her website. This holiday season Ms. Patti LaBelle has blendedsoulful mixture of traditional Christmas songs with original soon to be classics in a new album sincerely titled, Ms. Patti's Christmas. From those looking to beat the holiday shopping traffic and enjoy the time of year to those that enjoy all of the hustle and bustle, Ms. Patti's Christmas is a great album to kick off the holiday season and keep you inspired through the New Year. 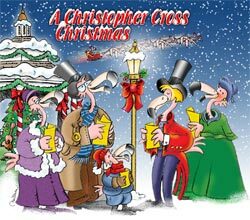 "I am pleased to tell you that Christopher's Christmas album will be available, on both his website and iTunes, on November 15. For more information, see his website. The album is a beauty. Christopher and I wrote two new songs, and I did an a cappella arrangement of "Silent Night" that was a joy to hear Chris sing -- we recorded his voice on eighteen tracks. Chris Walden did gorgous string arrangements, and Michael Omartian's piano is lovely throughout. Enjoy!" You can order A Christopher Cross Christmas Album at Christopher website. Both the CD (on Christopher Cross Records) and the ITunes version will be available November 15th. On the frontpage of Christopher website, you can listen to the song "Christmas Time Is Here". The previous project of his Christmas album has been explained on Chris official weblog in 2006: Holiday Message from Christopher. Vince Varvel "...Not A Creature Was Stirring..." new album now available. Vince Varvel began his professional career while in college, freelancing with many different performers in the St. Louis area. In 1994, Vince Varvel joined the Peter Mayer Group and has been a mainstay of the band to date, bringing his brilliant sense of harmony and texture to the group. Vince has also spent the last three years performing and recording with Sarah Cloud, while leading his own instrumental group. Varvel has also worked with artists such as Ralph MacDonald, Dave Weckl, Jay Oliver, Tim Reynolds and Mac McAnally. "...Not A Creature Was Stirring..." features Vince Varvel's brilliant guitar arrangements of nine holiday classics. This wonderous instrumental collection is peaceful and joyous, evoking the pure sentiment of Christmas. This is Vince Varvel's follow-up to his debut album, "Pictures & Postcards." Vince Varvel has been performing for over 20 years, and has spent much of the last seven years touring the U.S. and Europe, with the Peter Mayer Group, lending his brilliant sense of harmony and texture to that band. In addition to Vince Varvel on acoustic and electric guitars, this album features excellent work by percussionist R. Scott Bryan. Following the release of "Pictures and Postcards," well known for his guitar work and song writing with the Peter Mayer Group, Vincent Varvel has just released a collection of Christmas classics called "Not A Creature Was Stirring." A Little Flock Music label release with nine songs in all, this all instrumental compilation features R. Scott Bryan's percussion work on several songs woven into tasteful and beautifully recorded guitar renditions of such favorites as "God Rest Ye Merry Gentlemen," "Silent Night," and "Have Yourself a Merry Little Christmas." While lending his own signature style to songs like "Oh Come Oh Come Emmanuel," Vince Varvel captures the simplicity and essence of the song. Beautiful chords layered with soft melody, the interpretation is quite moving. A personal favorite, Vince Varvel shows that he's not only a gifted guitarist, but also an accomplished arranger on songs like "What Child is This". This holiday standard features steel string acoustic guitar chords with gentle nylon string classical guitar melody on top and just a touch of dreamy electric guitar underneath, creating a captivating feel to this Christmas classic. Vince Varvel uses just a bit of tasteful percussion to bring new life to old favorites like "Walking in a Winter Wonderland". Light and bouncy, Vince Varvel adds a unique and effective treatment to this one, giving this holiday standard a samba rhythm and Jazzy chord structure while still maintaining the integrity of the song. You won't find any Jingle Bell Rock here, just a collection of true Christmas classics beautifully arranged and performed. If you're hoping to get that Christmas spirit back this year, these songs will help you get there. Leave the trappings of the holidays behind and remember what the season is really about. Wish for snow this year, and curl up next to the tree this Christmas eve with Vince's brand new cd. Simply a must have for your holiday collection. Make sure you put this one is in the stockings of all your loved ones. 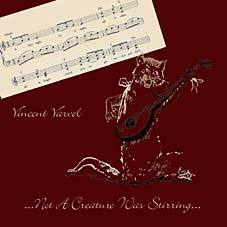 You can order Vince Varvel "…Not a Creature Was Stirring…" album here at CDBaby.com. Patti LaBelle "This Christmas" album. Anytime a soulful diva like LaBelle chooses to record, it's a special event, and fortunately, all but three of the songs on this 1990 release are originals written specifically for the project. The Philly musical legend tackles Donny Hathaway's classic "This Christmas," the 1949 Orioles hit "What Are You Doing New Year's Eve?" and the traditional "O Holy Night," but the real gems here are tunes like the heartfelt standout, "Born in a Manger"; the wonderful "Country Christmas," cowritten by LaBelle and coproduced by her longtime musical director, "Budd" Ellison; and "'Twas Love," which finds the usually high-octane singer in a relatively subdued mood also echoed on "I'm Christmasing with You." Released in October 1996 on MCA Records. Patti LaBelle can clearly relate to the lyrics of "Nothing Could Be Better," which references her life on the road and the joy of coming home for the holidays, and she sounds equally comfortable on "If Everyday Could Be Like Christmas" and the album's closer, "Wouldn't It Be Beautiful," which has an almost reggae-like undertone to it. Toning down her usual vocal pyrotechnics, Patti LaBelle offers a holiday album that is eminently listenable. 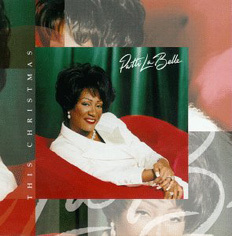 Patti LaBelle "This Christmas" CD: ORDER IT NOW. 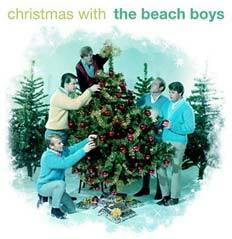 The Beach Boys "Christmas With the Beach Boys" album has been reissued last October by Capitol Records/EMI. The never-out-of-style Beach Boys do a great job convincing the world that a SoCal Christmas is as snowy and cold as the rest of the world's winter wonderland. Featuring the classic "Little St. Nick," "Christmas with the Beach Boys" also offers the immense pleasure of the group's inimitable harmonies, arranged by one whose ear is that of an angelic choir director--resident L.A. genius Brian Wilson. Included are a couple of outtakes, a promotional tape for a local toy drive, and a brief interview with Brian Wilson about the record. But the real joys are the rearrangements of staples like "Blue Christmas," "We Three Kings of Orient Are," and "Auld Lang Syne," all featuring that unmistakable Beach Boys sound. Even the originals, including "The Man with All the Toys," "Child of Winter," and the intriguing "Winter Symphony," blend the magic of the season with the wonders of the boys from the beach. The Beach Boys "Christmas With the Beach Boys" CD: ORDER IT NOW. 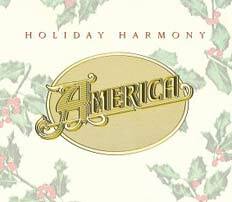 America "Holiday Harmony" album. America's breezy, acoustic-based Folk-Pop is a singular sound synonymous with sunny Southern California, but the legendary duo (Gerry Beckley and Dewey Bunnell) is loved by millions of fans the world over. Beginning with 1972's immortal "Horse With No Name," their amazing string of hits defined mellow rock in the '70s and '80s, but their dozen-plus albums -- six certified gold and/or platinum -- displayed a much fuller range than the singles alone. Much of the credit must go to seminal 1970s figure Andrew Gold, who not only produced and engineered the record, but played all the instruments (save Gerry Beckley's and Dewey Bunnell's guitars) and added his own soaring background vocals to the 13 songs. Andrew Gold also cowrote "Christmas in California," one of the three originals on the disc, which, with its tight harmonies and breezy subject matter, could have been lifted off The Beach Boys' "Christmas" Album. After more than 30 years, America have come home for the holidays. "Holiday Harmony," their very first Christmas album, features warm, acoustic interpretations of traditional yuletide favorites plus three brand-new originals. It's Christmas for California and everywhere else. 13 seasonal songs, also including 3 new (2002) compositions "Christmas In California", "A Christmas To Remember" and "Winter Holidays." Features warm interpretations of traditional favorites like "Have Yourself A Merry Little Christmas," "Silent Night," "White Christmas" and other perennials. Released in October 2002 by Rhino Records. America "Holiday Harmony" CD: ORDER IT NOW. Will Downing "Christmas, Love And You" new album. When the holidays are upon us, what gets music lovers in the spirit more than a great Christmas album? Many of R&B's legendary acts are known as much for their holiday albums as they are for their secular sets and crooner Will Downing hopes to join those ranks with "Christmas, Love and You" released in early November 2004 (on Verve/GRP). Combining a mixture of new material with tried-and-true standards, Downing has made an affable enough set. His renditions of the up-tempo "All I Want for Christmas Is You" and "Christmas Time Is Here" are lush and moving, but it's his interpolation of "The Little Drummer Boy" that steals the show. Will Downing, who co-produced the entire album, gives the song a world music feel, while his smooth vocals slide serenely all over the track. It's a great new take on the classic. "I think it's very easy to get caught up in the commercialized version of Christmas, the Gift giving, Christmas Trees, lights, Shopping etc... I openly admit that I'm guilty but some of the songs recorded on this CD put things into a different perspective for me, when I started arranging the classic songs ("The First Noel," "White Christmas" etc…) it wasn't about the content of the song but... How could I put a twist on them so that my version would be one that you remembered – which is the wrong way to look at it – you have to feel the song and understand the song before you can sing THE SONG and I of all people should know better. "The Little Drummer Boy" was the last song recorded on this project and it's lyrical content struck a chord in me & everyone who participated on the song, we talked about how every year we kill ourselves to get the biggest and Best materialistic thing that Money could buy and then you listen to the lyric on this song that paints an image of a Little Boy Kneeling at a Manger before the New born King who has nothing but Love in his heart and a Drum then says "I have no gift but can I play for you?" I'm not trying to sound preachy but it kinda makes you look at this Christmas thing a little differently, so please listen to this Music with your heart and enjoy!!" 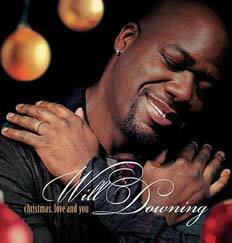 Will Downing "Christmas, Love And You" CD: ORDER IT NOW. Dianne Reeves "Christmas Time Is Here" album was released October 5, 2004 by Blue Note Records. Vocalist Dianne Reeves releases her first-ever holiday CD, Christmas Time Is Here. This 11-song collection features Reeves' longtime trio of pianist Peter Martin, bassist Reuben Rogers and drummer Greg Hutchinson. Special guests include guitarist Romero Lubambo, saxophonist Steve Wilson, vibraphonist Joe Locke and the Sirius String Quartet. With "Christmas Time Is Here," Dianne Reeves has made her most accessible record in years, a recording so musical and so completely pleasurable that it falls into that rare category of Christmas records—simply, a great record. "I love Christmas," says Dianne Reeves, "I love being with my family during the holiday season, and yet I’m all too often performing out-of-town during that time of year. Last year Christmas was spent on a stage in Tokyo. This year, I decided I wanted to be in others hearts and homes, and at the same time—stay at home!" Jazz singer Dianne Reeves has created one of the tastiest holiday jazz records in recent memory. Ripe with emotional transformations and musical innovation, Dianne Reeves takes you on a winter sleigh ride rich with an acute sense of phrasing and a warm, range that will captivate. This singer's singer takes such delight in singing in and out of melody lines and pushing a phrase above, below and sometimes beyond that she sweeps you up into her flights of fancy and finesse. Just listen to her change "The Christmas Waltz" into a rhythmic wonder. 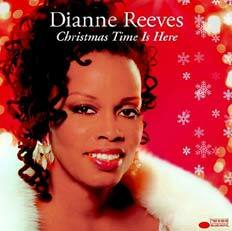 Dianne Reeves "Christmas Time Is Here" CD: ORDER IT NOW.